The Kornö is the standard when it comes to continental mattresses by Carpe Diem, designed with an extra long spring depth for added support and nighttime tranquility. 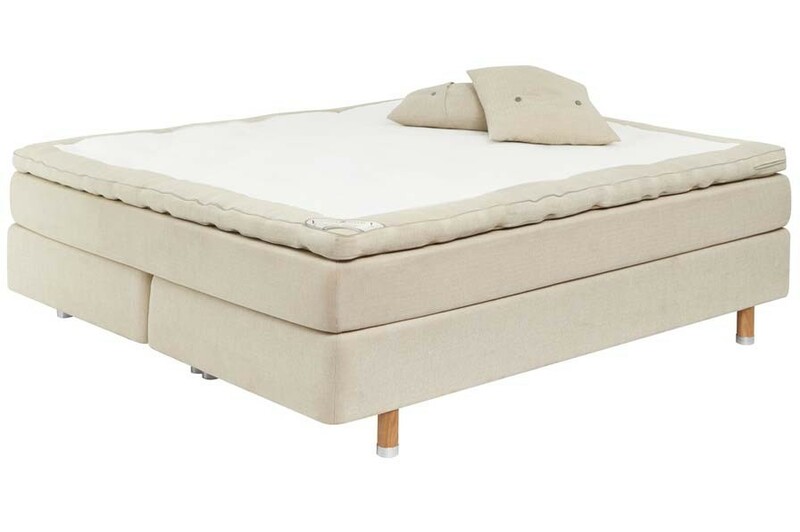 Layer by layer, the Kornö features an Exclusive Top Mattress, a pocket-over-pocket support system, and the Patent Pending bottom segment for which Carpe Diem beds are known best. Each element of the Kornö combines seamlessly with one another, creating a wondrous feeling of weightlessness that delivers a healthy level of deep, rehabilitative sleep. Exclusive Top Mattress. Talalay latex core, lined with certified New Zealand wool on one side and cool, breathable cotton on the other. Natural Latex mid-Mattress. Made with premium 100% Talalay latex, free of allergens and other harmful agents. Transverse Pocket Spring System. For unparalleled comfort, measuring 13 cm (5.1”) tall. Pocket Spring System. Heat treated piano wire pocket springs for contouring comfort that will last. Measuring 13 cm (5.1”) in height. Handcrafted Wooden Frame. Rest with a clear conscious knowing that the Kornö is made entirely of premium hand-selected pine from Sweden’s sustainable forestry operations. The way you will feel tomorrow is directly impacted by the way you rest tonight. At Carpe Diem, each luxury bed is handcrafted by Swedish artisans with meticulous care and pride. Each element of the Kornö bed is made from material of the highest quality: Certified-sustainable Swedish pine frames, heat treated piano wire pocket springs, and 100% organic New Zealand wool/cotton. Every stage of the hand-assembly process includes a personal check-up to ensure proper assembly and exceptional aesthetics. Once completed, Kornö beds are hand-signed by a craftsman long before ever leaving the facility, guaranteeing a level of unparalleled quality achievable through only Carpe Diem. The Kornö by Carpe Diem is a remarkable luxury bed that must be experienced firsthand. Brickell Mattress is proud to be the only luxury bedding store in Florida to carry the world-renowned line of Carpe Diem beds. For an exclusive showing, please call Brickell Mattress at 305.326.4000.